Do you know an "interrupting chicken"? Someone who does not seem able to let another person finish their story or what they were saying without jumping in and finishing for them. 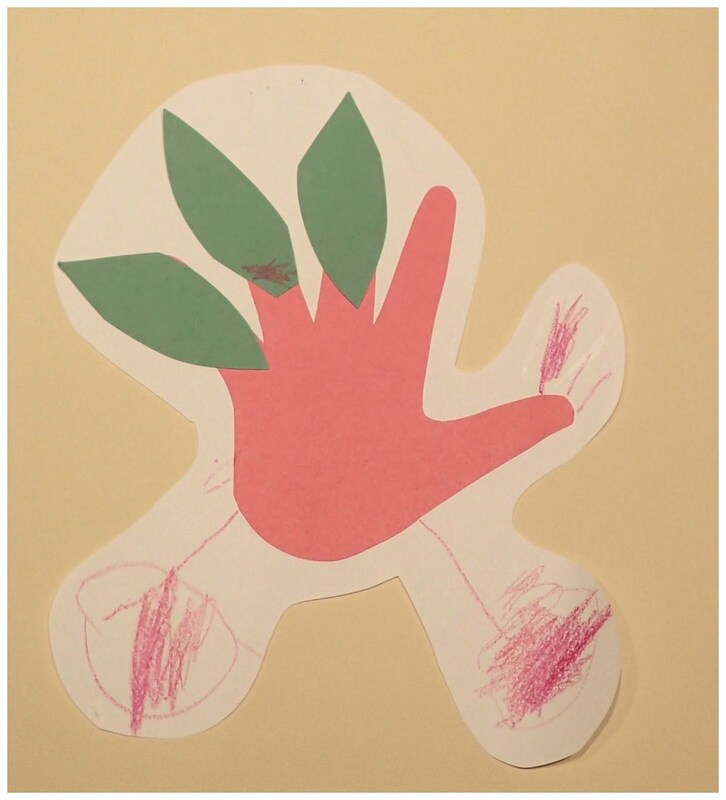 Every kindergarten class has a goodly share of interrupting chickens. That make David Ezra Stein's book pure gold. 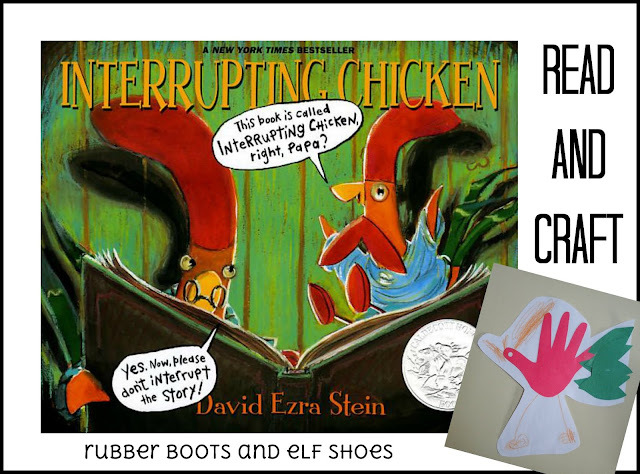 Interrupting Chicken is one of our back to school "must reads". 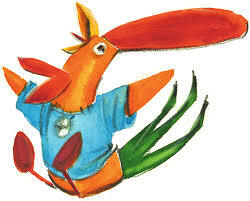 It is a fun story, has captivating (and award winning) illustrations, and has an important message. The story provides a friendly way to start the (on-going) discussion about interrupting. When we remind people not be interrupting chickens, everyone knows what we mean! To continue to conversation about interrupting and make a deeper connection with the story, we made our own Interrupting Chickens. 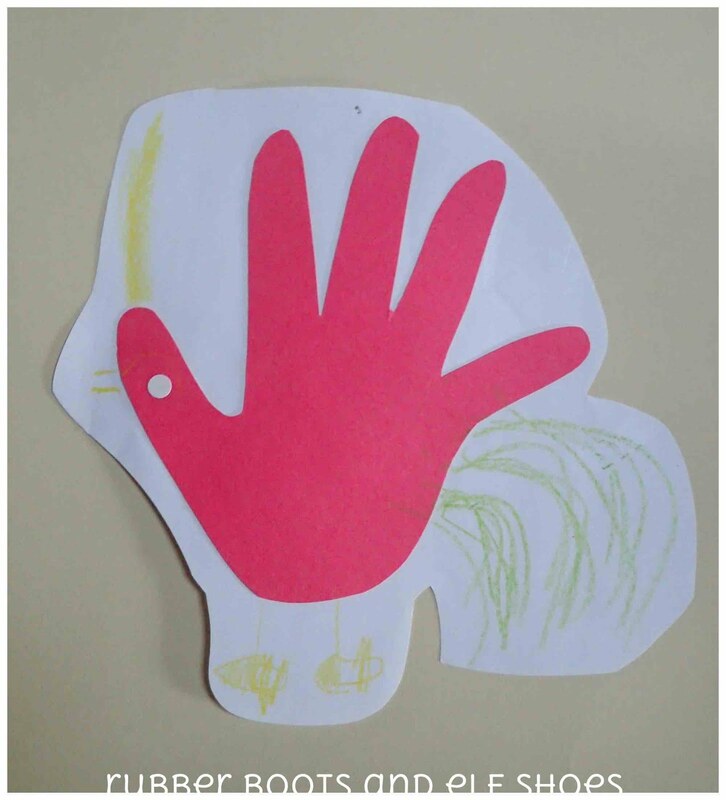 Each child started with a cut out red handprint and some green tail feathers. We looked at the pictures of the chicken - their red head feathers, their green tail feathers and their fun chicken feet. And then the kids went to work. Each Interrupting Chicken had it's own creativity and personality. 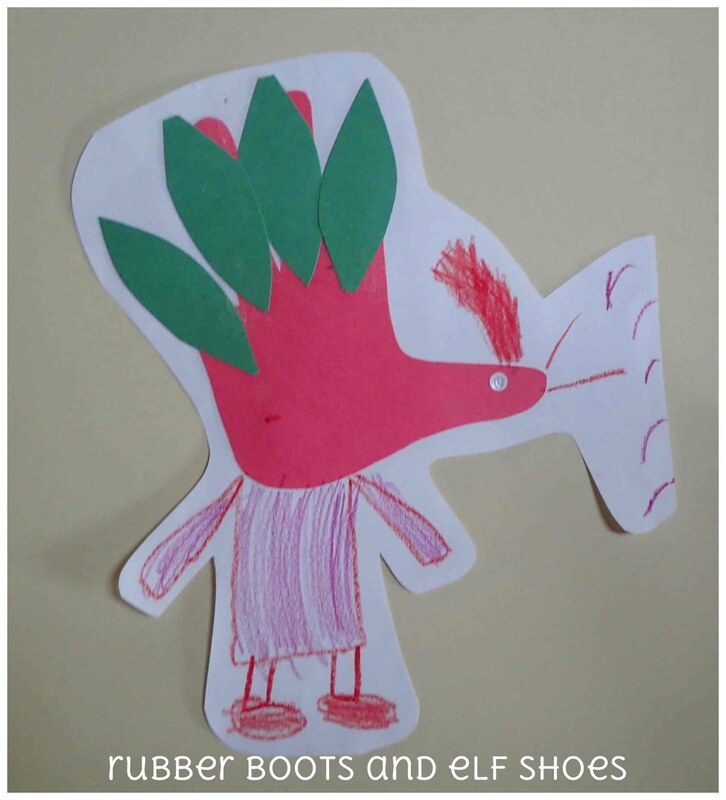 I love seeing the individuality of their creations, even when each child has the same materials. Learn more about David Ezra Stein. 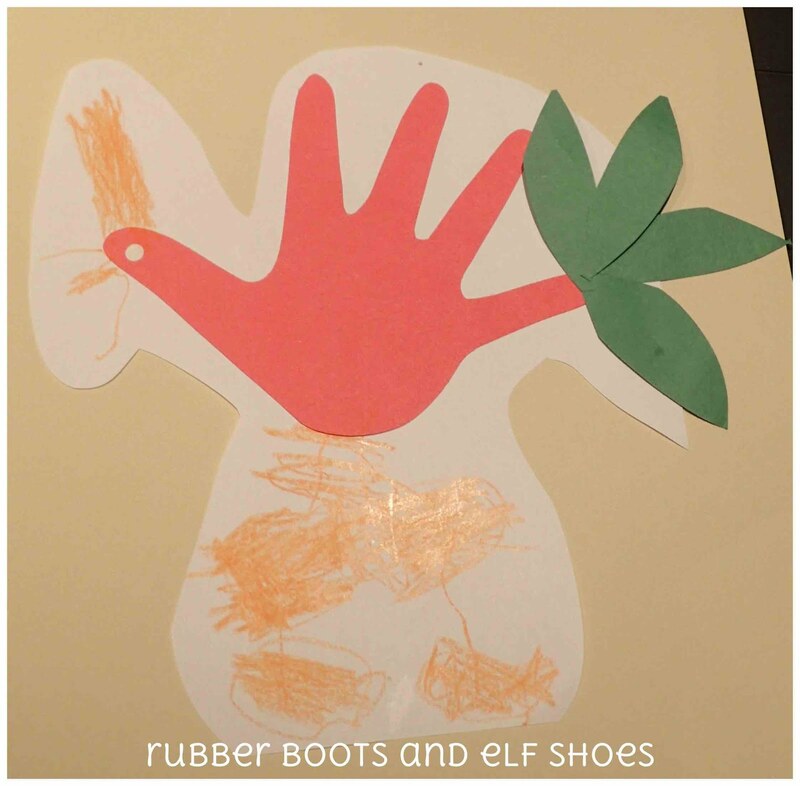 Check out other rubber boots and elf shoes book reviews and activities. Those are great! We love that book, too.